The fine paste (pastry crust) for the receipt (recipe) To make a made dish of Curds, contains saffron. 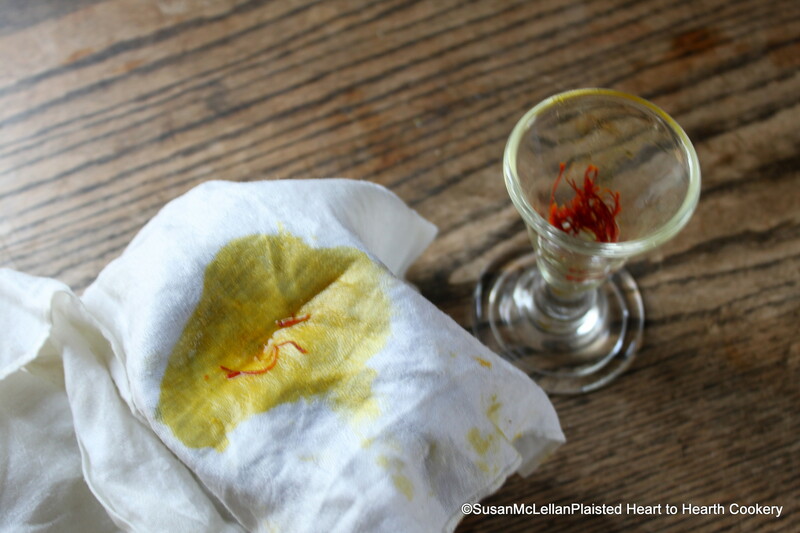 The dried stigmas of the saffron crocus (Crocus sativus) have to be harvested by hand and and were (and are) a very expensive spice, flavoring agent and yellow food color. For the paste, the a few stigmas were infused in hot water and then strained through a linen cloth.